Japanese artist Yui Kugimiya’s thickly layered animations are currently on view at Kunsthall Stavanger through August 10th as part of the Art Videos for Kids series. These tactile animations, created with thick swaths of vibrantly-hued paint, are bursting with energy and literally bring painting to life. Below, Kugimiya elaborates on her early years in Tokyo, stop-motion animation, and the importance of narrative in her paintings. Can you tell us a bit more about your background and how you first came to be involved in art? Being creative, especially painting and drawing had been a very natural activity for me since as early as I can remember. My upbringing in a household with my father working in the field of industrial design and engineering and my mother coming from a background of textile design probably had much to do with the creative influence on me. We lived in a tiny apartment in Tokyo, the entire space of which was often and easily taken over by someone’s project, like my father building a canoe, my mother dyeing fabric or me oil painting. In our house, craft tools and materials like paint brushes, pigments, spray paint, sand papers and silicone molds were seen as usual parts of living space as a TV, a sofa, books and a cup of coffee. How accessible it was to craft something inspired and encouraged me already as a kid to be absorbed in art making. 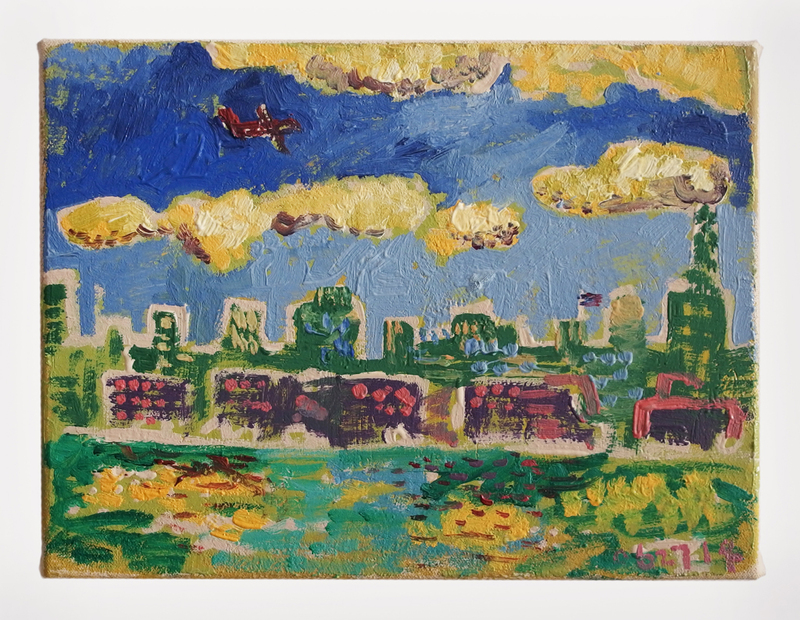 I understand that you lived in Tokyo before moving to the United States and attending Montserrat College of Art, Massachusetts College of Art, and eventually Yale, and later relocating to your current studio in Brooklyn. Has your creative practice been influenced by these different locations? When I moved to the States from Tokyo I was 19 years old and hardly had any idea about a new life as an art-school student in Beverly, Massachusetts, which is a town in north shore. Moving to Beverly from Tokyo was a big transition and gave me a great exposure to unfamiliar and exciting experiences, through which I also encountered moments that were emotionally impacting. Since part of creative practice for me is to observe my own life and feelings, the event of relocation and rise of feelings that were relevant to isolation or remoteness might have influenced my art. The creation of these animations seems to be an incredibly labor intensive process. How did you arrive at this technique and how long does it take to produce one of your animations? From where do you draw inspiration for your work? I always had a fascination with stop-motion animation as a teenager. I was keen on a kind of reality that represented emotional or psychological space in the world of animation in a similar way that I did so with painting. When I was in college, I came up with the idea of recording the process of making painting as an attempt to deconstruct painting and observe how it’s made and what makes it a painting. To work with this idea I grabbed a video camera that I had then and set it up on a tripod in front of a work in progress painting. At the first moment of recording, it was almost automatic that I began painting and recording to turn the process into a narrative by using the idea of stop-motion animation. It depends on the duration of the piece but even for a very short animation I usually shoot about 200-300 images, so it takes that long. I am inspired by daily life. What I see and what I feel bring motivations. Most of the recent animations are done with audio recordings that I make myself. I create and also find sound in activities and events in real life to record. Sound is an important inspiration for creating images and narratives. There is so much energy in the animations currently on view at Kunsthall Stavanger. Can you talk about the importance of movement and narrative in your work? I think the energy in my animations comes from the fact that what you are seeing is a condensed time. One frame of an animation, which is an image of a painting, has taken as much time as it takes to mix colors, get paint on a brush, apply it on the canvas and be shot by a camera to become an image, though the playing duration of it is just 0.03 second. When such density of time is the mechanism for delivering movement, narrative could be found at different degrees of dimensions. There is illustrated narrative, narrative of sound that sometimes comes from real life, narrative of stop-motion and narrative of painting. The complication of these different degrees of narrative is exciting to me and I shoot animation to get them embedded in a single timeline. 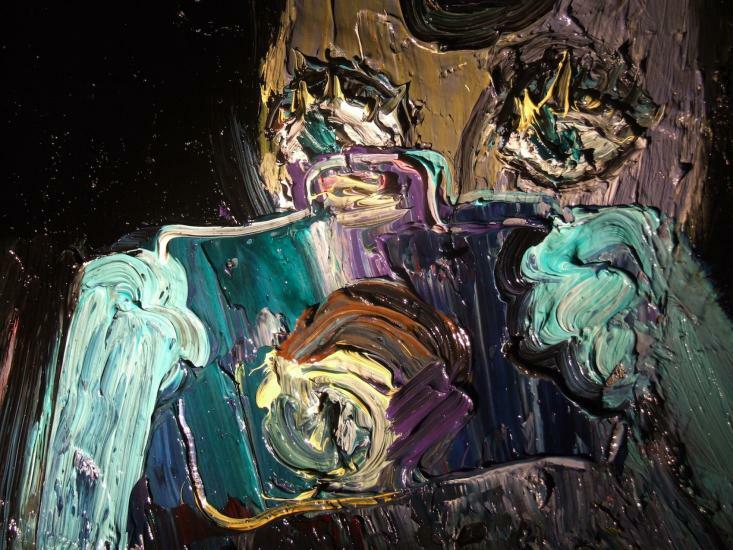 In a sense, these animations are oil paintings come to life. Do you see the final painting as a finished work of art, or merely the by-product of the animation process? Painting is the final work of art, as well as the animation. There is the big question, “How do you know when the painting is done?” With my painting that is made with the process of animation, the painting is done when the narrative ends. Those paintings are the final product of experimental painting that seeks to demonstrate a form of narrative. And finally, do you have any upcoming exhibitions or projects in progress that you can share with us? Yes. I am working towards a solo show in New York, which will open this coming season. 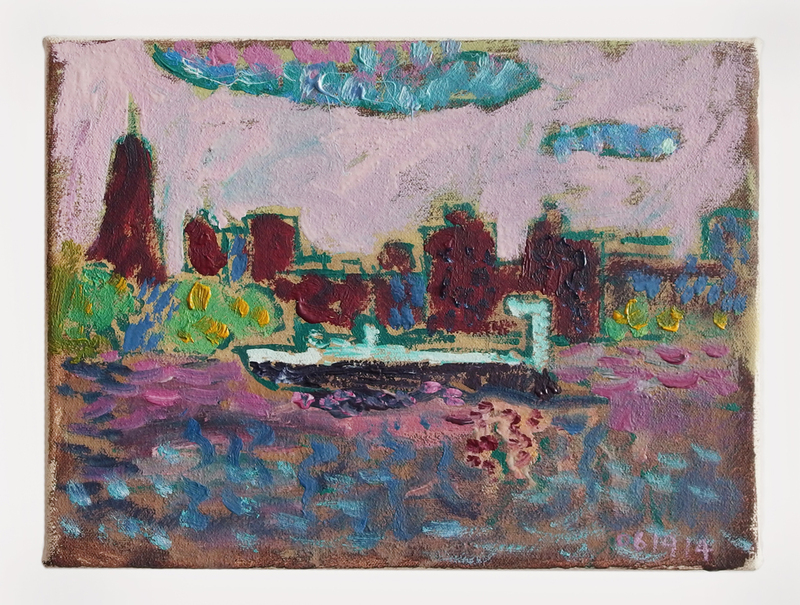 The show will be all paintings including “East River Paintings,” which has been an ongoing subject since last year.